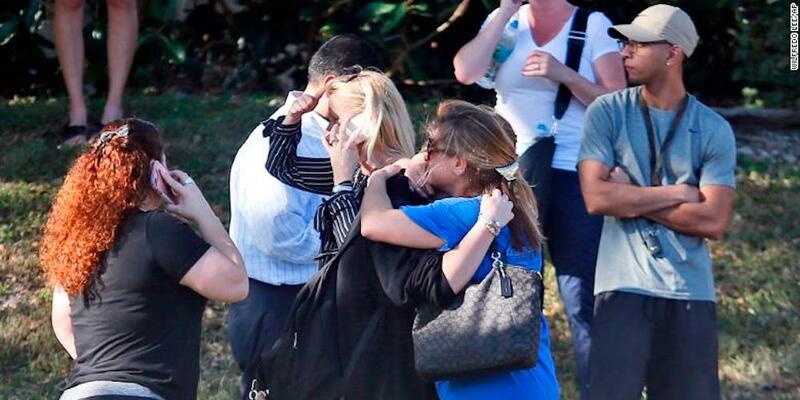 Today in Parkland, Florida, a 19-year-old former student killed at least 17 people in a high school shooting. The suspect in the Parkland shooting is in custody, and police are investigating. The Parkland shooting at Stoneman Douglas High School started at approximately 3 p.m. Eastern Standard Time. The suspect is believed to have pulled the fire alarm to draw people from classrooms. According to CNN, there was a fire drill earlier in the day, which added to the confusion. The killer started outside the school before moving inside. Twelve victims were killed inside the school. Two died outside, one died in the street and two more died at the hospital. Victims included students and staff. At least 14 people have been injured. Parkland, Florida, was named Florida’s safest city last year by the National Council for Home Safety and Security. Stoneman Douglas High School has a student population of over 3,000. 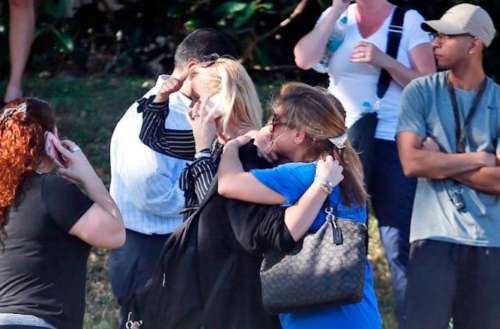 According to NBC, the killer is believed to have had one semi-automatic rifle with multiple magazines. It’s currently unclear whether he had any other weapons. Students at Stoneman Douglas said the killer was “a little bit off” and would frequently show off his guns, and “threatened to bring the guns to school multiple times.” Students even joked that the shooter would be behind a school shooting one day. As always, Twitter was very active with thoughts and comments about the Parkland shooting. Below, we’ve compiled some of the best. Sending light and healing to the students of MSDHS in Parkland, Florida. Heartbreaking. My heart is broken again — this time for the victims of the Parkland school shooting, and the families whose children will not come home today. It is within the power of Congress to save lives, if we find the courage to act. Our leaders need to lead. Stand up to the gun lobby and do what's right ​to keep our children safe from gun violence. 17 more people dead today, and it barely feels like major news. Anyone who votes for an NRA-endorsed candidate is complicit in this. Go to @bessbell's timeline for an ongoing list. This has to end. If you can think about a tragedy for more than two seconds without politicizing it, you might not be thinking. Until we fix men, we need to fix the gun problem. If you want to hurt a man, the first thing you do is attack his masculinity. Men don’t have the language to understand masculinity as anything other than some version of a caveman because no language exists. So men (and boys before that) don’t have language for modes of expression that don’t readily conform to traditional standards. To step outside those norms is to take a risk most of us are afraid to take. As a result, a lot of guys spend their lives terrified. Even talking about this topic invites ridicule because it’s so scary for most men (and women). Men are adrift and nobody is talking about it and nobody’s doing anything about it and it’s killing us.